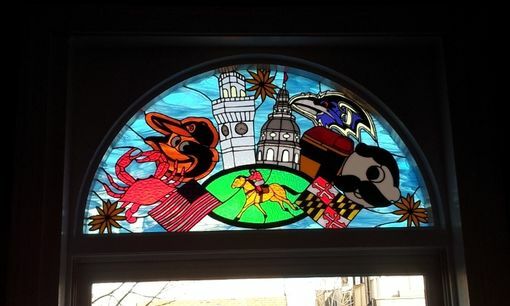 Are you a proud Marylander?? 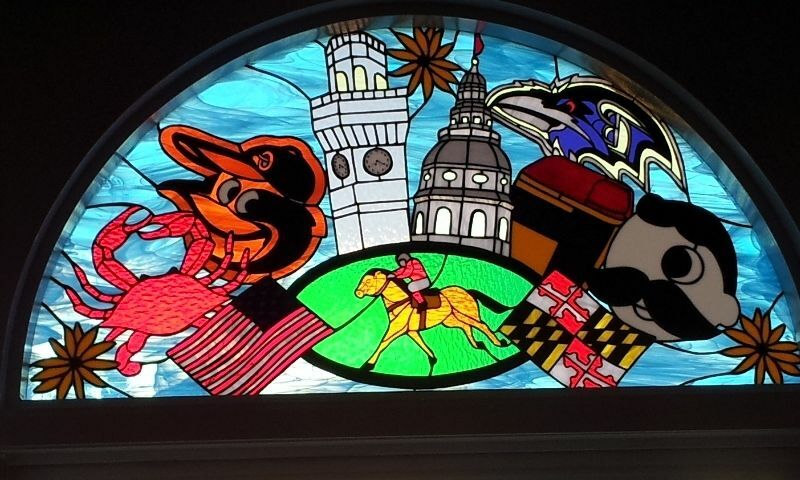 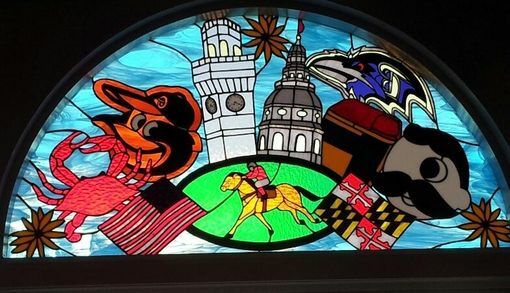 If the answer is yes, you should take a look at this unique piece full of Maryland symbols: the Boh icon, the O's logo, the Ravens logo, a horse racing scene, a red crab, Old Bay, black eyed susans and the list goes on!!! 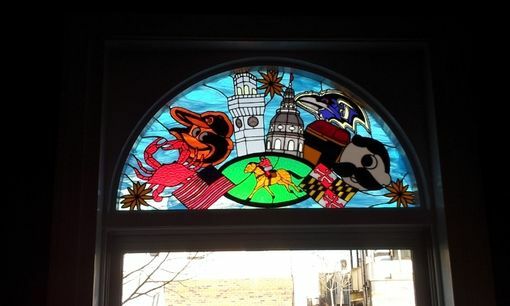 Size: 42 1/2" wide X 22 13/16" tall in the center. 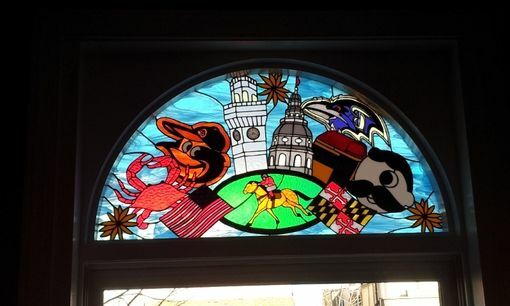 This piece is the result of the work between us (designer and workbench team) and our customer who chose every element on the transom and also the place for each one so, don't hesitate in contact us if you want to have a custom stained glass piece just adapted to your needs!